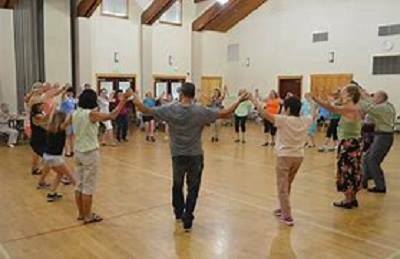 Northshore Senior Center is hosting a World Dance Party on Friday, June 8, 2018 from 6-9pm at the Center, 10201 East Riverside Dr., Bothell. All ages welcome. This year’s Potluck Theme is Pizza Party. You can bring - or have delivered - your favorite pizza to share or bring a side dish (green, veggie, fruit, pasta). Beverages and desserts provided. Have fun learning dances from around the world in 10 minute mini-sessions. For more information, including names of local pizza providers, contact Glen at 425-286-1029.